The great elder of the deckbuilding genre, Dominion is the kind of classic that just can't be put down. Players start with the same set of starter cards, but over the course of buying and selling, end the game with an absolutely unique deck, handbuilt to accomplish a wide variety of goals. As Dominion progresses, players find themselves with better and better options, embracing the kind of power ramping I always want in a game. 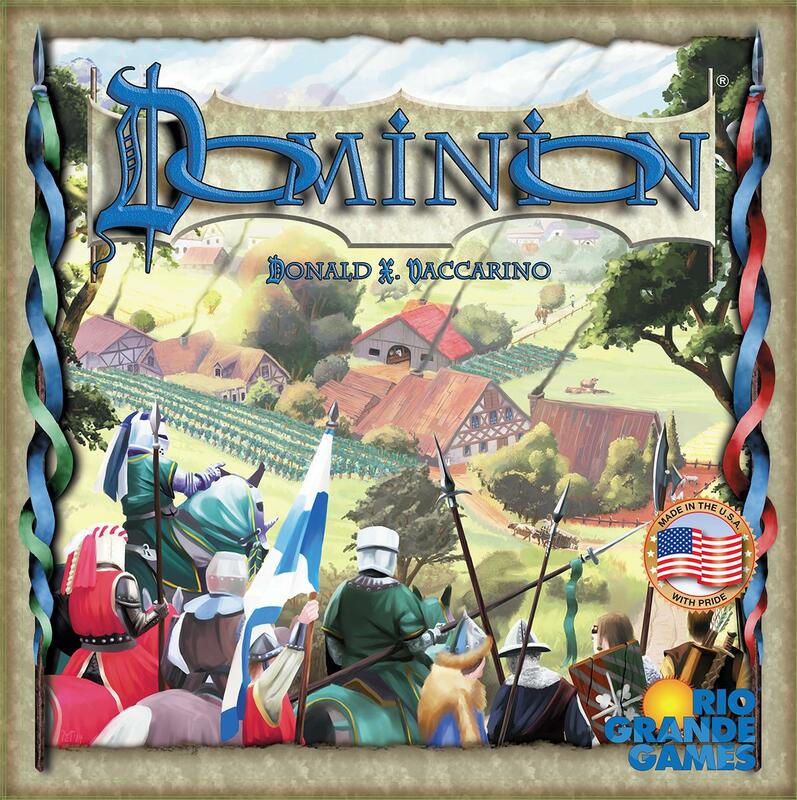 Dominion has a ton of expansions that each add new themes and mechanics to the game. Intrigue adds a web of attack cards, giving you new ways to tear down your opponents. Seaside is all about long term contracts that increase the power of your next turn. Prosperity grants even more valuable cards, plus additional Treasure cards for real VP acquisition. There's no limit to the number of ways you can play Dominion, which is both its greatest strength and its greatest weakness. Dominion is notoriously hard on new players, but shines with the proper system mastery.